Today is INDIEpendence Day, when we celebrate indie authors by recommending indie books we’ve read that ROCKED (note: this is an Indelibles sponsored event, so no Indelibles’ books are included; this is a Pay It Forward kind of thing). I had seen Howey’s books on the SF bestseller lists for some time, so I was vaguely aware of Molly Fyde (his YA Space Opera, although it’s not marketed as such) as well as Wool, plus I followed his meteoric success on the Kindle Boards. Not only is his story inspiring, but he’s a really nice guy, friendly and approachable and humble on the Boards. I finally decided to read his books, to see what the hype was about, and let me just say: Hugh is one talented writer. It wasn’t easy for Molly being the only girl in Flight Academy, but getting expelled was even worse. Abandoned by her family when she was young and now tossed from the only home she’s ever known, her future looks bleak. But then Molly hears that her father’s old starship has turned up halfway across the galaxy. Setting off to retrieve the old craft, she hopes it will hold clues to his disappearance. Accompanying her as a chaperone is Cole, her old flight partner from the Academy. Molly can’t believe it. She’s now the proud owner of her own starship. Her Spring Break is going to be spent traveling across the galaxy with a cute boy. Could things possibly get any better? Little does Molly know, they are about to get much, much worse . . . This is a story about a girl who wants nothing more than to join the Galactic Navy, fly spaceships, and maybe date the cute guy who sits in the pilot’s chair that should rightfully be hers. But instead, the good old boy Navy network consigns her to the navigator seat then tosses her out of Flight Academy altogether. And things definitely do get worse from there. To say that this story resonated with me would be a nova-class understatement. I wish this novel was around when I was a young sixteen-year-old, standing on the tarmac at the Navy airshow, on the base where my dad had worked all my life, eager to sign up for the Navy straight out of High School. The recruiter eyed me and asked why I wanted to join the Navy. I told him I wanted to pilot the Space Shuttle. My dad had worked in the space program, I’d done my research, and I knew test pilots were the rockstars of NASA. The best way to become captain of a real-life spaceship was to join the Navy and fly fighter jets. He said, well Missy, that’s a fine dream, but you see, the Navy doesn’t allow women to fly fighter jets. They might, if you’re lucky, let you pilot some VIP planes. I didn’t understand – what’s a VIP plane? Well, those were the jets the Navy uses to shuttle around Very Important People. My shoulders sagged. You mean, even if I join the Navy, even if I’m the best pilot around, I still won’t be able to fly combat planes? Just because I’m a girl? Yes, Missy, that’s exactly what that means. Molly, I feel your pain. Beyond my ringing personal connection to this story, it’s beautifully written and somehow manages to be both classic SF and modern YA at the same time. Molly finally gets to be a pilot (and captain!) once she retrieves her father’s ship, plus she has cute-guy Cole sitting second seat as navigator, but getting back “home” is a heart-wrenching series of adventures that will keep the pages turning and your head churning. Howey creates a very smart story, where social issues are played out on the different planets and societies that Molly and Cole are forced to visit – and it’s this part of story that is classic SF thought-experiment, the kind I love to soak up. Plus the writing is beautiful – did I mention that already? Serious mastery in the turns of phrase in this book. I also read Howey’s more famous work, Wool, the one which 20th Century Fox has scooped up for Hollywood to turn into a blockbuster. Wool is adult SF with more thriller, less romp, but still that same, smart, studied SF. And the writing takes a swerve to the even more literary and beautiful. Brilliant, compelling stories wrapped up in a pretty words? There’s a reason these books are on the top of the bestseller charts. And they’re a great example of all that indie books can be, and where an indie career can take you. Howey has four full length novels in the Molly Fyde series, the first of which was published in 2009, then each published approximately 6 mos apart. Wool started as a 50 page novella published in July 2011, but it caught fire and fans demanded he write more. Only then did he hit the NYTimes bestseller list and capture the attention of NY publishing (which he turned down), agents (which he did not), and Hollywood (with whom he landed with a very nice deal). With his writing, his hard work and success, and his good natured presence on the Kindle Boards, Hugh Howey is one of my new indie heroes. The next time someone says they can’t find any good indie books, just point them towards Howey’s books and sit back and wait for their eyes to be opened. 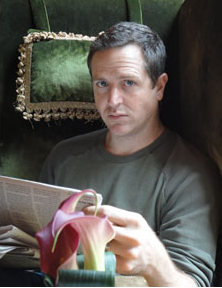 You can buy Hugh Howey’s stories on Amazon and Barnes and Noble. Hugh blogged recently about the word “indie” and its use (and perceived misuse). I’m giving away an e-copy of Molly Fyde below! Sign up, and don’t forget to hop around for other great indie book finds! p.s. I will be on blogger break from 7/4-7/9. Critique Wednesday will take a short holiday and return on July 11th. I read his article on "Indie" – Fantastic! I know, right? Very well said. This is a great idea for a blog fest. In Canada, the Navy is about boats. The Airforce is about flying. I didn't realize in the US, the Navy includes pilots. I'm not usually a big sci-fi reader, but I am definitely intrigued. Thanks for showcasing these books. I think you would enjoy Wool for sure – Molly has more of the tech-stuff in it (which I love), but Wool probably has broader appeal (for those not specifically into the SF). What a great accomplishment to sell the movie rights for your self-pubbed books. WOW! Now I must read it! Thanks for the info, Susan. I can't wait to see what they do with the movie – it's got explosive potential. Thanks for the giveaway opportunity. Best of luck to Hugh! What a cool idea for a series of posts! Sheesh, Sue, how disappointing for you to hear that about Navy pilots back then. Glad they changed their policy. Yay for Hugh Howey's success! I hadn't heard about him, and I love sci-fi. So glad you featured him here! Such a very cool holiday you Indelibles have created. 🙂 Hugh Howey's story – both his books & real life sound inspiring indeed. That sounds great! Thanks for sharing – lovin' the blogfest so far. As a star trek fan and a woman, I'll put Molly Fyde on my reading list. She seems like my kind of girl. I'm really excited about Hughe's success independent author or otherwise. It's just awesome. I downloaded Wool a while ago, but Molly Fyde sounds great, too. I'll have to check it out as well. I really need to meet Molly. I wanted to be an astronaut so badly when I was a kid – wish her story had been around then. I loved Wool … so this is definitely on my TBR! Hugh Howey definitely is inspirational! I've been wanting to read his Wool series and now I want to read Molly Fyde too. This sounds interesting. I hadn't heard of it before. Thanks for featuring it! I hadn't heard of this author, so I really appreciated your post and I couldn't resist jumping into the contest for his book. I'll check out the blog link. Wool is on my wish list and I'll look into the Bern Saga books. Book 1 sounds interesting. Great news about Wool – love seeing the Indie authors celebrated!